[prMac.com] Encinitas, California - DZED Systems today is pleased to announce Dragonframe 3.0.4 for OS X, an update to their stop motion animation software that is currently in use by top studios for feature films, music videos, commercials, and broadcast television series. The powerful software simplifies stop motion animation, motion graphics, and visual effects, with integrated USB control of Nikon and Canon DSLRs. A favorite of indie filmmakers as well as major studios, the application supports lip-sync, automated lighting via DMX, 3D stereoscopic capture, and camera motion control. Previously called Dragon Stop Motion, Dragonframe 3.0.4 offers a comprehensive set of tools for both animators and cinematographers. The Canon EOS 5D Mark III is the updated version of the 5D Mark II, which has been one of the most popular cameras for stop motion animation because of its full frame sensor, live view exposure simulation, and tight integration with Dragonframe software. Dragonframe is the premier frame-grabbing software for stop motion animation and time-lapse photography. Using the live view of supported DSLRs, it provides video assist tools for the animator, and is the central hub for capturing and organizing high-resolution frames from the camera. Dragonframe is an excellent frame-grabber, with tools such as step-to-live, onionskinning, auto-toggling, and drawing (virtual grease pencil). Dragonframe has innovated in the world of stop motion software by pushing the functionality beyond frame grabbing to provide a full assortment of production tools. Whether they are independent filmmakers working on a project in a garage, a small crew working on a commercial, or a major studio making a feature film, users will find that Dragonframe has the tools they need to create amazing stop motion animation. "Our goal is to make the experience of shooting stop motion as streamlined as possible. Dragonframe 3.0.4 truly delivers on that idea in exciting ways," said Jamie Caliri, Creative Director at DZED Systems. Caliri and his brother, software engineer Dyami Caliri, originally developed Dragonframe for Jamie's personal use in creating the 2006 Annie Award-winning United Airlines commercial, "Dragon." The update is free to Dragonframe 3 license holders. Dragonframe 3.0.4 is priced at $295.00 (USD) for a single-user license, or $235 (USD) per license in quantities of five or more. A fully operational trial version is downloadable and valid for 30 days. Educational pricing is available. 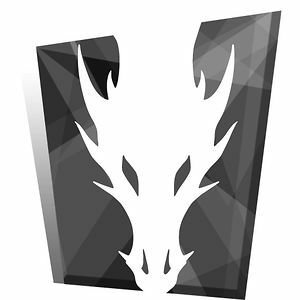 Dragonframe 3 is also available for Windows. Located in Ojai, California, DZED Systems LLC is a privately held company founded in 2007 by award-winning director Jamie Caliri and professional software engineer Dyami Caliri. Committed to providing truly professional-grade software, DZED Systems was founded for the purpose of developing unique software and hardware solutions for stop motion film production. Copyright (C) 2007-2012 DZED Systems LLC. All Rights Reserved. Apple, the Apple logo, and QuickTime are registered trademarks of Apple Computer in the U.S. and/or other countries. Other trademarks and registered trademarks may be the property of their respective owners.